Explore in a 28,000 square foot active learning playground for young minds! 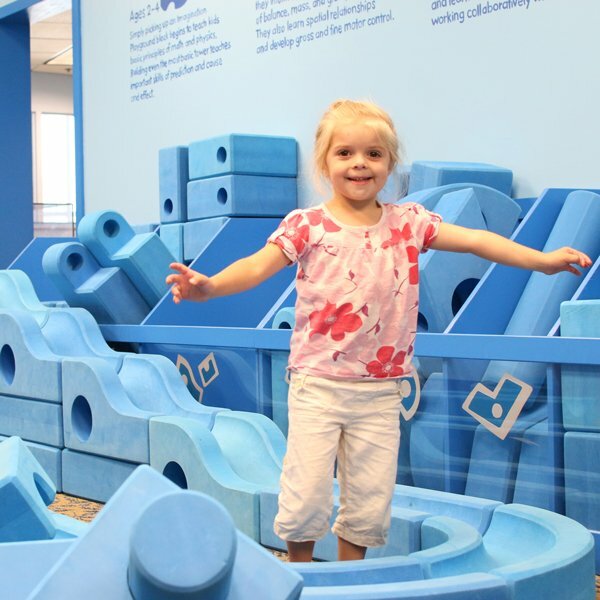 Our exhibits are rich with unique hands-on educational components that promote the active exploration, problem solving, and discovery that lead to learning. Most importantly, the act of play is respected and valued by museum staff and volunteers as a critical aspect of childhood that leads to healthy, happy adults. All of our exhibits build skills that correlate to one or more of our five educational initiatives. Please click on the links below to find out which exhibits focus on Arts & Culture, Financial Literacy, Healthy Kids, School Readiness, and STEM.